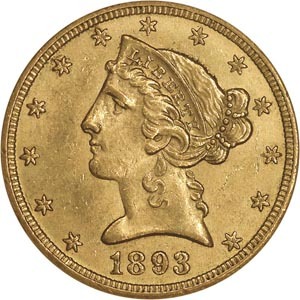 The $5 gold Liberty Head Half Eagle was familiar in American economic life. 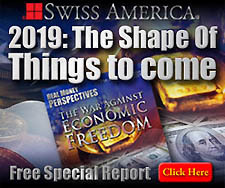 It had been in constant use since the early days of the Republic and was one of the longest lasting denominations in United States history. The Liberty Half Eagle was also designed by Christian Gobrecht who was strongly influenced by Neoclassicism. 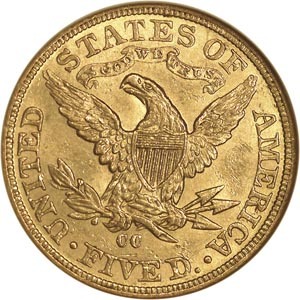 The $5 Liberty was minted until 1907 when the $5 Indian Head coin was introduced.